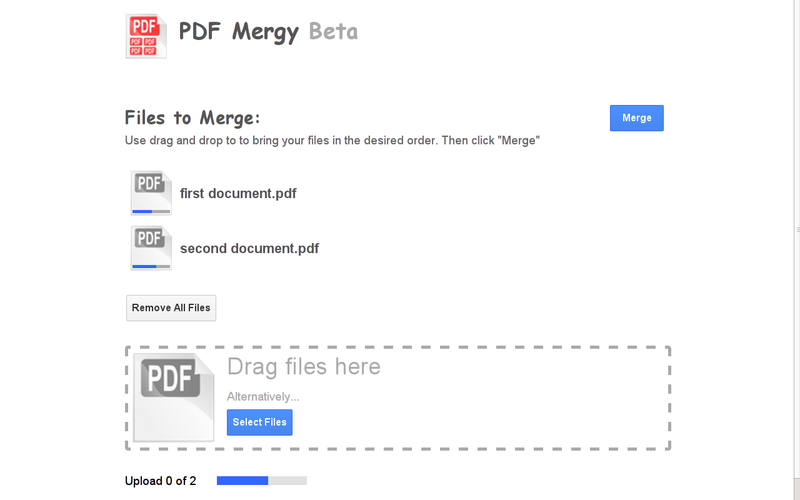 I lately created a simple PDF Merge tool that is now available online. 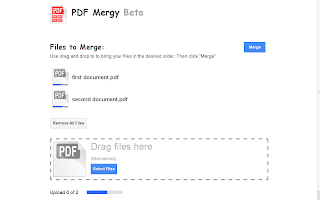 It allows those who are not able or willing to use a command-line to quickly merge PDF files without the need of installing a bloated tool on their commputer. Files can be added and ordered using a drag and drop interface. The application is hosted on Google AppEngine, while the actual merging is done on Rackspace CloudServers. After running some benchmarks it turned out that Rackspace CloudServers are much better suited for these kind of Tasks than Amazon EC2 nodes. I'm using a GAE-backed REST queue to distribute merge jobs. To reduce unecessary polling I'm using gae_channel to push queue updates to workers. Using a message system like RabbitMQ would probably be superior but require to run and maintain an additional server - something that I wanted to avoid.